As you may have heard me say before, I've been looking for some great new skincare products in the past couple of months to keep my skin healthy and looking fresh. Especially with the warmer months ahead of us and the time of year that so many of us like to spend out in the sun, keeping your skin healthy, clear and beautiful is so important. 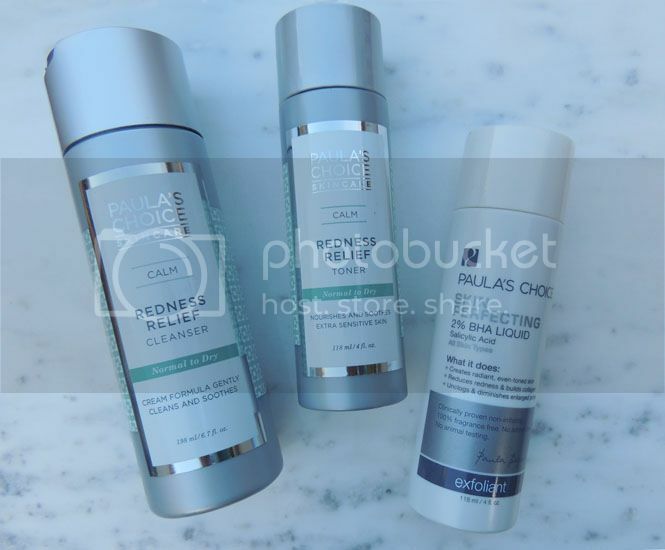 I'm so, so happy to have found the Paula's Choice line of skincare products and I was even more excited to have learned that they have so many different products for different types of skin; that made me positive that I would absolutely love this brand. 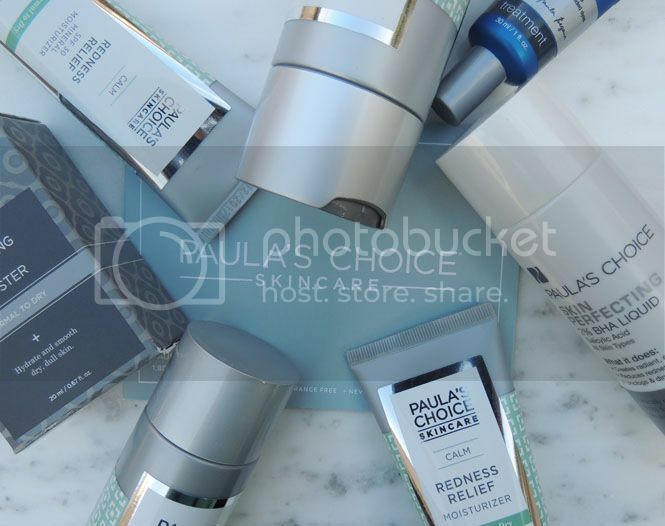 If you're not looking to spend a fortune on skincare products but want a quality line of skincare that literally will cater to your skin type, Paula's Choice is SO for you. 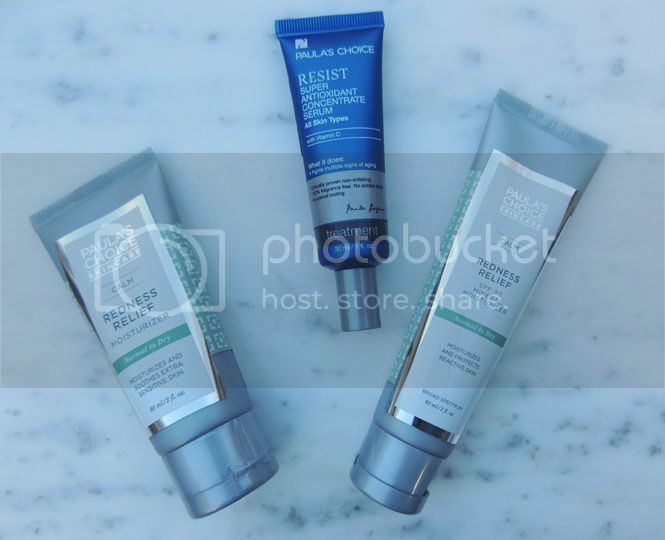 I was so excited when Paula's Choice offered me a skin consultation so I could explain exactly what I was looking for and get the exact products that would help my skin. In the past few weeks that I've been using these products, I've seen a difference in my skin and I've even noticed that my face makeup looks so much more natural which is a serious bonus! The process works best when you use ALL of these products and in a certain order - I ended up numbering the bottoms of the bottles so I didn't switch any up! During my consultation, I was explaining that I sort of have combo skin; I get a little dry and a little oily, but luckily I don't have too much of either. I also always end up having redness on my cheeks - it always gets worse in the winter but year round, the redness shows and it's something that drives me crazy! I always cover it up with makeup or in the summer, a tan, but finally having something to fix it so I don't have to worry about it is really exciting. I wasn't sure how this would play out with my products, but sure enough my consultant seemed to know exactly what would be best for my skin type. First, I use the Calm Redness Relief Cleanser. This entire line is targeted to help relieve redness, irritation and best of all, it's made with sensitive skin in mind. So many cleansers I've tried have given my face a tightness feeling or haven't really given me that clean, fresh feeling that I love. With this cleanser, my face feels refreshed and it's helped reduce the redness of my cheeks in the matter of the few weeks I've been using it! The best step to follow with after using your cleanser is toner. This toner is also from the Redness Relief line and it's made to help calm any irritation and to nourish your skin. It also removes any left over makeup that your remover may have missed and unlike other toners I've tried, this is SO soft and feels so good going onto my skin. My exfoliant is the Skin Perfecting 2% BHA Liquid Exfoliant. My skin tone has been evened out so much in the few weeks of using this already! I love this and it's seriously not like any other exfoliant I've used in the past. It also helps to unclog your pores and has salicylic acid in it to help prevent any breakouts. During the consultation, my consultant suggested trying some of the products from the Resist line. The Super Antioxidant Serum is made to help brighten your skin and I love that it has Vitamin C in it which not only is great to help diminish dryness but it also helps to brighten my skin. I use this in the morning when I use my cleanser, toner, etc. At night, I use the Resist Moisture Renewal Oil Booster. I use this at night so that it can replenish and rehydrate my skin and also because it has an oily consistence. It comes with a dropper and is perfect to put on any blemishes you have - I've always been pretty fortunate when it comes to having clear skin but there's always that one (or two) blemish spots that appear out of no where. This oil booster has seriously made them disappear within a day or so and makes my skin feel super smooth by the next morning. I absolutely LOVE both moisturizers I got from Paula's Choice. There's never a moment where I'm not shopping around for a new moisturizer and there's always one thing wrong with each that I try, none have had the perfect combination for me before these came into my life! The Calm Redness Relief Moisturizer feels like silk on my face and is made for dryness and redness. It doesn't make my face shiny (which I love) and absorbs quickly, evenly and doesn't even leave my hands feeling greasy after applying. I love to use this most especially at night after I wash my face because of how clean and fresh it leaves my face feeling. The Redness Relief SPF 30 Mineral Moisturizer is perfect for all day wear/before you apply makeup and also for the days that you'll be in the sun since it has SPF 30. I put this all over my face and it smells beautiful and again, doesn't leave me looking shiny or greasy like some moisturizers do. It has plant extracts, antioxidants and peptides in it to help calm your skin and reduce redness too. What I look for most in a moisturizer is something light and airy that doesn't give me a heavy or greasy feeling and this does just that. 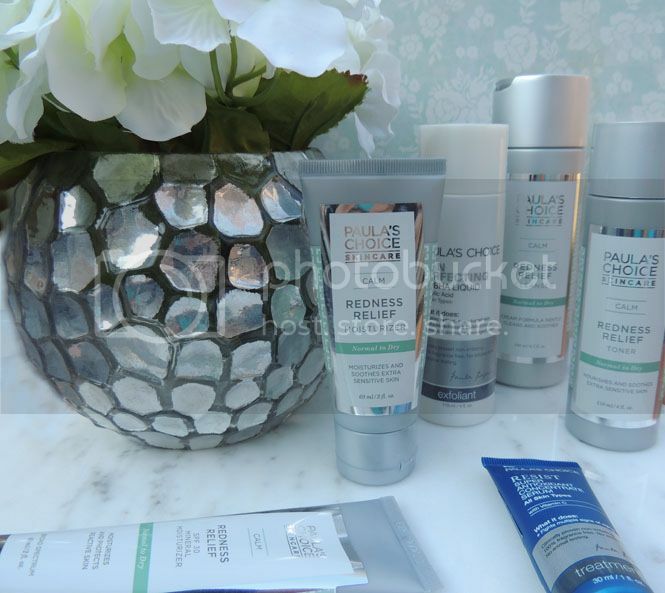 It's safe to say I've found some amazing products in Paula's Choice! I love that there are so many products to cater to all different types of skin - that isn't something you come across with many brands. Like I said, I've been using these products for a few weeks now and I can already see a real difference in my skins appearance and to the touch. These products aren't crazy expensive like some, and you are paying for high quality, non-irritating, cruelty free products. Paula's Choice also offers the majority of their products in sample sizes (for like, $.50 cents!) so you can try out different things before committing to a larger size of the product(s). I'm so excited to help you guys build your very own Paula's Choice skincare routine by teaming up with Pretty In My Pocket to offer you all a coupon for 20% off your purchase AND free shipping by shopping through this link and using promo code PRIMPSPRING! These products are amazing and worth a try, so take advantage of this offer! I would love to hear what products you try with the discount! That sounds like a great line of products. I would love to check it out. I've never heard of Paula's Choice before. 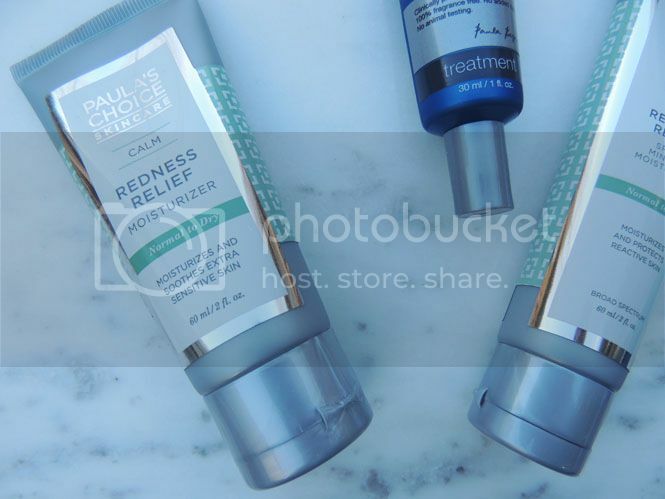 I would love to try the redness relief cleanser and moisturizer. My face tends to get a little more red as I get older. First time hearing about these products but I'm already impressed! I really need a Bette skincare routine than what I have now. This sounds like a great brand of products for me to try out. I need a better routine then the non-existent one I have now. Honestly, I need to find a moisturizer that helps reduce the look of pours and I need to find something for the puffiness under my eyes. I am working on things with my body. One of the things I'm learning is skincare. I will have to try something like this to see how well my skin likes it. These products looks great, and I especially love that you numbered the bottoms of the products. How smart are you?? I am normally fine with cleansers and moisturizers, but having a complete kit would be awesome. I love that it's made for sensitive skin, since I, too, have that. This skincare line looks so great. Since I am in my 30s I am all about hydrating and making sure that all products I use have SPF. No wrinkles here! I love having a good skin care routine. I like that this stuff helps reduce redness. My skin can often seem red. I'd love to change that! I would LOVE to try that facial moisturizer. I've never seen one with an SPF that high, and that's exactly what I need with my fair skin! I am definitely in the market for a new skin care routine, so I appreciate you sharing this today!! I've never heard of this line, I may have to check it out, I'm always up for great quality at a lower price! I need to start using skin care products on my skin. I never really has the need for skin care until 15 years ago. I started getting horrible acne after I had my son. I think I've finally got it under control for the most part. I have always been curious about her products. I think routine regimens are always what work best with multiple products. This looks like a great skin care line. I have never heard of this brand before so will have to look into it more. No matter your skin type, there is something that will work well with it. I love the line! The oil booster would be so great for my dry skin! What a great line of products! I would really like to try this. I also have combo skin, and now that I am getting older the products I used to use don't work anymore. This might be my answer. I've heard good things about this line. Your little flower vase is so pretty! I need to get into a better skin care routine! This sounds like a great product! That sounds great! I would love to try that Thanks! I'm so bad about a face routine. I still use Clean & Clear in the shower, and that's it! I have not heard of these products. They sound great! These look really amazing. I am always looking for products for my combo skin and I love that these are tailored to different parts of your skin. Haven't heard of Paula's Choice until now. Thank you for the review. It looks like they do have products that cater to specific skin types and for addressing certain skin problems. I'll check them out. I keep hearing great things about this line. I'd really love to try it! That's so cool that you get a consultation! I definitely want to try this line out. 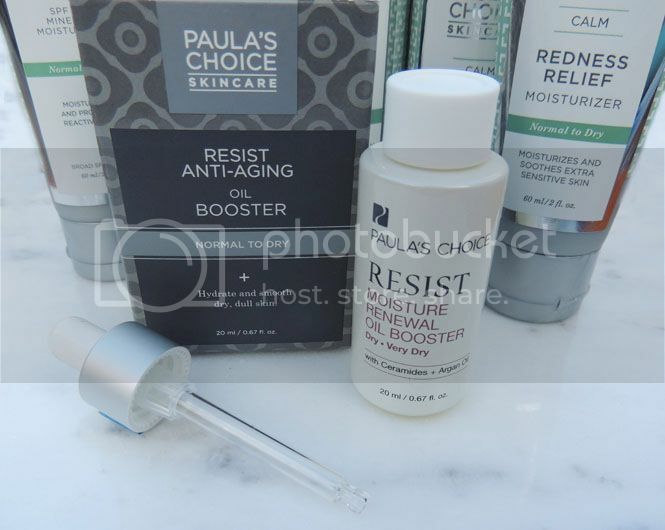 It's the first time I've heard of Paula's Choice but it sounds like a great skin care product. Not familiar with the brand but I am loving the look of the products. Great packaging. It's surprising to know that they are not expensive. I think I'll check them out. I tried PC (and wrote about it), too, and I love! The mixup of products i received ended up being perfect for my skin, so I'm majorly impressed with their personal consultations! I need all the skin booster and anti-aging skin line I can get! I don't want to see wrinkles early on in life. A good skincare routine is very important. I haven't tried this brand before- I will have t0 check it out. 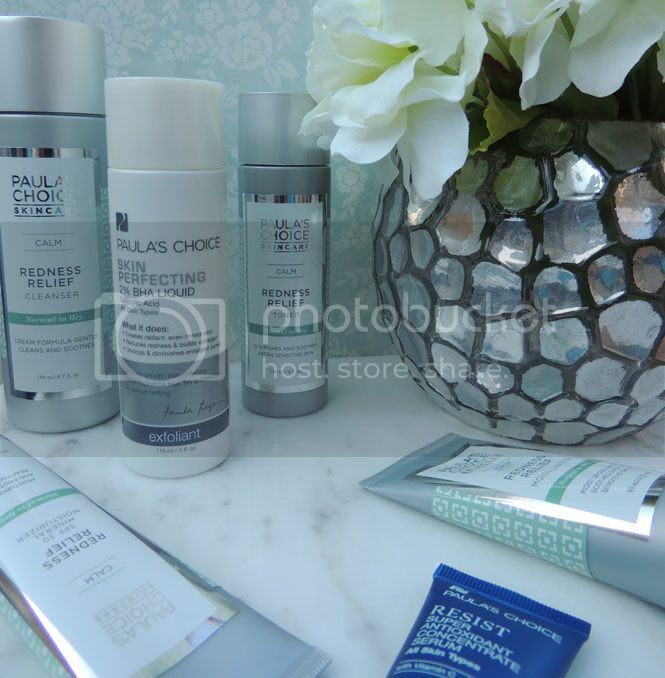 I loved all the products of paula choice. If I am getting an opportunity to continue my skin care routine with paula choice. Then why not I am going to follow this skin care routine. Skin need extra care. It is important to daily skin care routine. Sun damage our skin that build aging signs. Lifecell anti aging cream Canada, this will helps to over the signs.